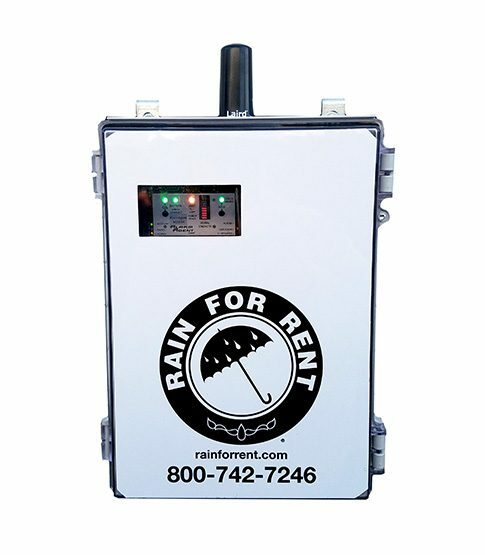 Rain for Rent offers reliable alarm monitoring with Alarm Agent. The service, specially designed for pumping applications, will offer real-time notifications of any pre-set value your jobsite requires. Program Alarm Agent to email, call, page and provide instant reports to what’s happening on your pumping project. Alerts personnel via cell phone, email, or text message. Built in loss of communication alarm from the Website. alarms with 2 analog based alarms. Can be programed to call multiple contacts for the same alarm. Can be programmed to as a flow meter pulse counter. Stores information via Web.